A few hours ago we showed you an HTC ThunderBolt teaser, which may give you a few hints when this beast will be set free, but now a much more definite (but not official) proof is leaked - the Best Buy inventory system shows that the HTC ThunderBolt is to be launched on February 21. It's important to note this is the in-stock date of the device, but according to the tipsters at Phandroid's forum, this is the launch day of this powerful phone as opposed to its out-stock date, which is February 24. Either way, the HTC ThunderBolt's release is nearing, and we're most eager to spend some quality time with this powerhouse of a phone. Are you getting one? Good. Now all the impatient babies will stop crying. Can't really blame everyone for being impatient. I dunno if you have heard yet, but this phone, the first 4g phone for Verizon, is kind of a big deal (like Ron Burgendy). 1) I'm getting one. This phone is amazing. First 4G LTE phone on Verizon!!! 2) Phone Arena- the "outstock date" appears to be 2-24-2013 in that screen shot. 3) "Das70"- I can see your point, but I don't think anyone is crying like a baby here. We are probably more similar to children waiting impatiently for a new groundbreaking 4G LTE toy! are you a moron? you think the iphone coming to verizon has "withered" away? let the big boys take this one, your opinions are a little far from truth. I'm excited for this! I switched from the Incredible to the Pro and although I really enjoy my qwerty keyboard on the Pro I miss the HTC Sense skin of the Incredible. So I'm hoping to switch back to the HTC brand when this is FINALLY released!! 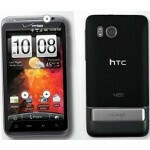 I think I may get this phone and sell my Droid X on ebay. I heard the HTC UI is a lot better. it is. ill never switch from HTC. i have the incredible now but im going to get the thunderbolt. moto phones have been hit or miss to me. HTC has been phenomenal. Goes with the teaser video from Verizon. 3+2+1=6. 6 days from launch of video until launch. yea, the most release dates from everyone else, EXCEPT Verizon, which is the only one that matters. Am I getting One ? Hell to tha flipping yeah Im getting one , I have been following this device since project name to Production ! exactly LionStone, everyone was tring to say Verizon delayed the launch due to the iphone, but all of those early release dates came from people who don't know squat. There would have been "no way" that the bolt would launch @ best buy before it would launch @ Big Red.